The quality of your oral health is very important for us to last for many years. That’s why we are your leaders for the best laser dentistry in Vero Beach! It is our priority to get you a beautiful smile. Let’s keep reading to learn more about the best practices we have to prevent gum disease! For starters, an accumulation of plaque begins the early stages of gum disease. Plaque is composed of many types of bacteria and produces a white, sticky film on your teeth. If this plaque is left untreated, you can expect gum disease to set in. Furthermore, we will administer treatment contingent on the nature of your condition. For example, the most common type of surgery is “flap”—this is a surgery that will remove tartar deposits deep within your gums. As always, you should always make a follow-up appointment to plan for a great path to oral health! Are You in Need of Laser Dentistry in Vero Beach? Lastly, it is important for us to get you the smile of your dreams. 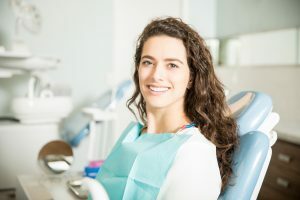 As your leading experts, we ensure that you are granted a path to reduce your chances of gum disease. Contact us today to learn more about how to get started!